Drupal SMTP Integration | How to Integrate Pepipost With Drupal? 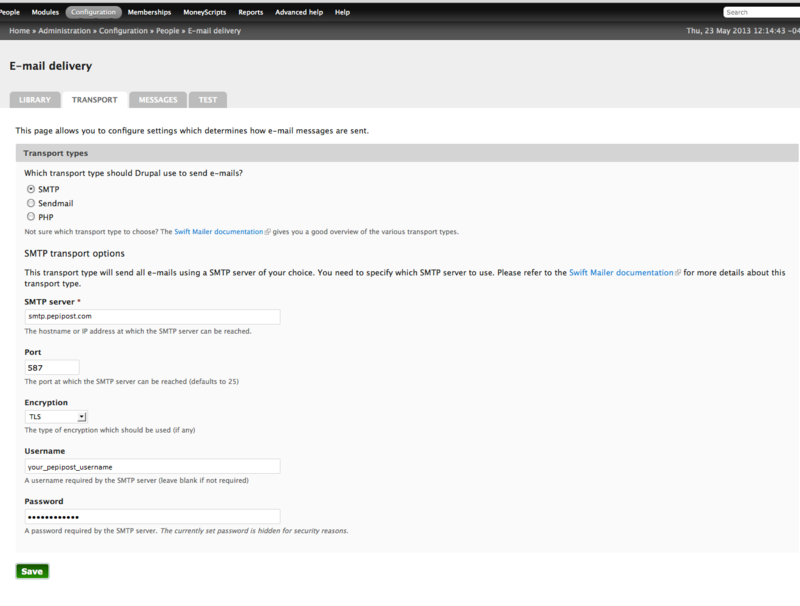 To send emails from Drupal using Pepipost, you may use the SMTP Authentication Support module or the Swift Mailer module depending on your needs. 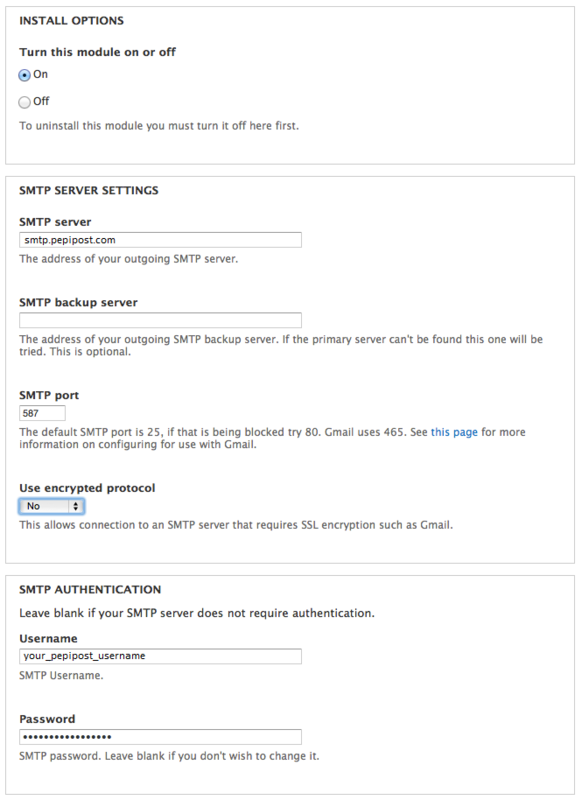 The SMTP Authentication Support module supports SMTP authentication and can even connect to servers using SSL if supported by PHP. Our easy steps below will walk you through the process. To use the SMTP Authentication Support Module, install a version of this module that is compatible with your version of Drupal. Install a version of this module that is compatible with your version of Drupal. We are compatible with V7. To use the Swift Mailer module, install a version of this module that is compatible with your version of Drupal. Configuration for this module is largely the same as above.